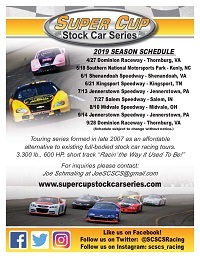 Statesville, North Carolina (January 22, 2019) – Approximately midway through the 2018 season, an emergence of fresh faces tried their hand at the Super Cup Stock Car Series, achieving and at times exceeding some initial targets that were set. For 2019, the bar gets raised a little higher, as each aspires to participate in an increased schedule. 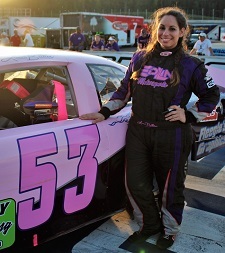 Lauren Butler was already a fan favorite at Western Pennsylvania short tracks, accumulating multiple years of experience and success. But did driving the heavier Street Stocks on a weekly basis translate easily upon climbing into a 3,300 pound, 600 horsepower SCSCS machine? 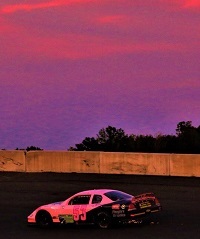 Unfortunately, the Pittsburgh area former champion at Jennerstown Speedway Complex had her seat time reduced at her home track right from the get go. A fuel pump failure meant having to watch their intended July debut from the sidelines. Some overheating issues with their more than a decade seasoned 603 motor at the next outing on a very hot day at Virginia’s Dominion Raceway also resulted in an early exit. Nevertheless, the Edlin Motorsports team pressed on. 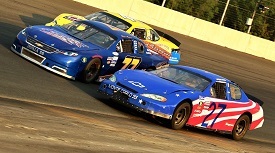 In the late August appearance at Jennerstown, a grounding wire was the culprit that shortened their initial 50-lap race of the evening, but a rally back to an impressive fifth place finish concluded the night. After a solid conclusion to 2018, Butler and her team composed of her hardworking parents Eddie and Linda, spotter Justin Guy, detailing guru Dave Shultz, and Jennerstown weekly racer Dustin Gursky have high intentions when they get on the road for the 2019 season. 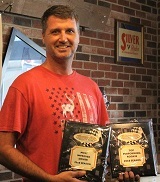 While excited to get to new tracks and continue to seek advice from series veterans like Kromer, Butler specified a particular goal that would be incredibly meaningful. When analyzing the racing career path of another driver who made his debut at Jennerstown over this previous summer, there are numerous similarities to Butler. 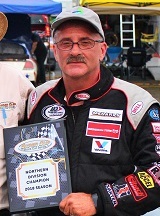 Andrew Kostelnik spent multiple seasons as one of the top drivers in the Street Stock ranks at the same facilities and earned a track championship at Jennerstown as well. The Braddock, Pennsylvania driver shared related thoughts about the adaptation to the SCSCS. The final stat sheet from his first four starts looks magnificent, but did not come without some adversity and a little luck. Fuel pump issues much like Butler, as well as an intense moment where the No. 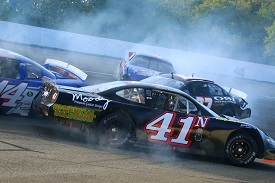 41 was facing the wrong way during a multi-car incident, resulted in the Minjock Racing crew consisting of Joel Minjock, Cody Little, older brother Adam Kostelnik, and team owner Al Minjock creatively thrashing away between practice sessions and races at times. With that, Kostelnik remains humble yet confident and maintains a level head heading into the future. 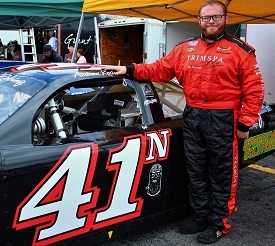 The team made gradual upgrades throughout their three appearances, including renewed shocks on the car and getting their Street Stock open motor freshened by area engine builder AJ Poljak. Since the primary ride from 2018 did not need much work between seasons, they have lately turned focus to getting their second car prepared in case it is needed. The current plan is for Kostelnik to run every race and simply continue doing what they have been doing. 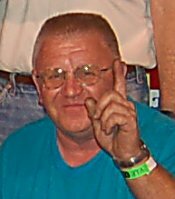 One track Kostelnik is especially excited to visit is Indiana’s Salem Speedway, the reason tying once again in with his fellow Street Stock turned Super Cup competitor. More than a decade ago, he traveled to the similarly high-banked Winchester Speedway to compete in Lauren Butler’s family-owned Street Stock. 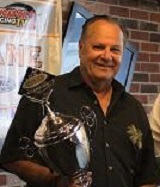 In addition, he and team members visited Ohio’s Midvale Speedway on a couple occasions to observe in 2018 and remarked about the excellent racing they witnessed at the immaculate facility. The next drivers made much more of a leap into the full-bodied stock cars and the duo are arranging to make another one for the new season. Karting graduates Landon and Hayden Brothers recently purchased a ride that has a proven past. 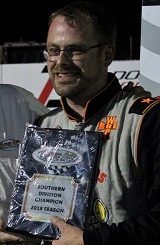 “For 2019, we have one car that is faster and we’re going to get another car that is about equal to it,” Landon Brothers, who shared a ride with his twin brother last year, described regarding the machine Hayden will compete in and was previously driven to two wins by 2015 SCSCS champion Dan Bainey. The teenage drivers first took the green flag behind the wheel last August at Dominion, but the knowledge they acquired came months prior to that via test sessions in order to get approved to participate in the series as well as attain a hands-on approach to gain an understanding of what it takes to prepare their own cars for future starts. Although the car they ran was more of a starter machine with less power under the hood, each stayed out of trouble and combined for four top 10 finishes. “We went into it trying to gain all of the drivers’ respect and things like that, and coming out of it we did,” Landon Brothers said. “We tried to gain as much knowledge from the other drivers so we could have more experience,” Hayden Brothers continued. In addition, the team has upgraded from their open trailer to a hauler that will fit their entire two-car effort and increase their ability to keep the operation organized as both attempt to tackle the full schedule in 2019. “My goals are to finish the races and get top five or top threes, and my favorite track that I am looking forward to going to is probably Kingsport,” Landon Brothers stated, regarding the concrete-surfaced facility which the brothers assisted veteran Mike Kurkowski in 2018. 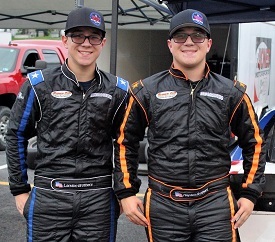 Landon and Hayden have been seeking marketing partners for their program, entertained the idea of utilizing their family business by owning multiple trucks as well as their initial racecar to potentially lease out. They have actively engaged in contests throughout social media, and perhaps most uniquely own a simulator race car. "We use it at events and businesses can rent it out for birthday parties, employee appreciation days,” Hayden Brothers explained. It remains to be seen what 2019 will have in store, but things are certainly looking up for these and many more competitors in the months to come. 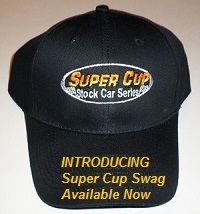 Teams intending to participate in the Super Cup Stock Car Series are strongly encouraged to complete registration forms available at www.supercupstockcarseries.com and reserve car numbers for the season by the January 31st deadline. Timely submission to Director of Competition Joe Schmaling by mail or email (JoeSCSCS@gmail.com) will also ensure inclusion in preseason marketing and promotional materials. More information regarding the full schedule to be released soon will be available at the series website as well. Be sure to stop by Facebook (search Super Cup Stock Car Series), Twitter (@SCSCSRacing), and Instagram (SCSCS_Racing) for additional updates and announcements that become available.